Team GB came away from the weekend’s UCI Para-Cycling Track World Championships at Manchester Velodrome with a glittering haul of medals – and five new world records. In total, Team GB won ten golds, three silvers and a bronze medal in the event which ran from Friday, November 6, to Sunday, November 8. The Brits proved again that they are firmly on track to dominate the 2012 Paralympic Games track cycling events in London. Tandem pair Neil Fachie and pilot Barney Storey set the scene on Friday with a blistering performance in the B&VI 1km time trial, winning the event and setting a new world record in the process. British pair Simon Jackson and Dave Readle came second. 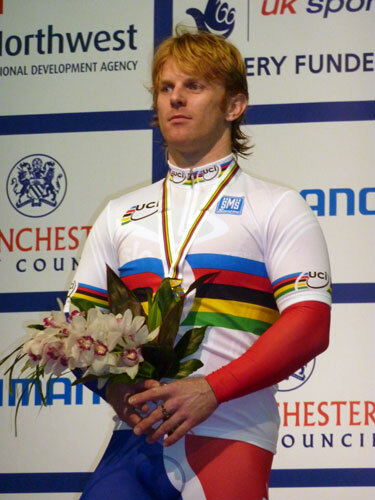 Current para-cycling road world champion Darren Kenny (pictured) added to his enviable collection of rainbow jerseys with gold on Friday, winning the CP3 1km time trial. Kenny beat fellow Brit Rik Waddon to secure the title. After opening Team GB’s medal account on Friday in some style, on Saturday the floodgates opened with no less than five golds and a further silver medal. 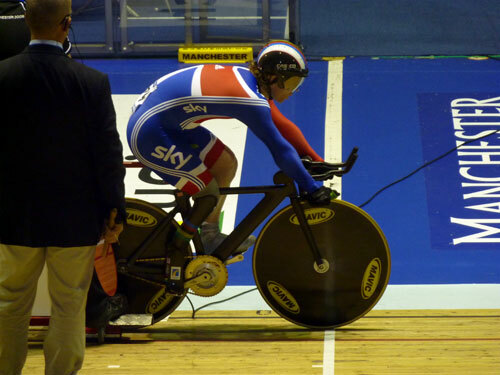 Paralympic champion Jody Cundy set a new world record in the LC2 1km time trial with a scorching 1-05.414. Not to be outdone, Sarah Storey set a world record during qualification for the LC1 3km individual time trial and caught American Greta Neimanas after just five laps in the final to take the title. Storey’s time would have given her a silver medal at the preceeding weekend’s Track World Cup. Kenny added to Friday’s victory in the 1km time trial by winning the 3km individual pursuit, with Waddon again taking silver. On Sunday’s final day of action, the golds kept coming for Team GB with a further victory for Sarah Storey, a win in the men’s team sprint and men’s tandem sprint. Sarah Storey clinched the world title in the women’s LC1 500m time-trial, her first world title in the category. 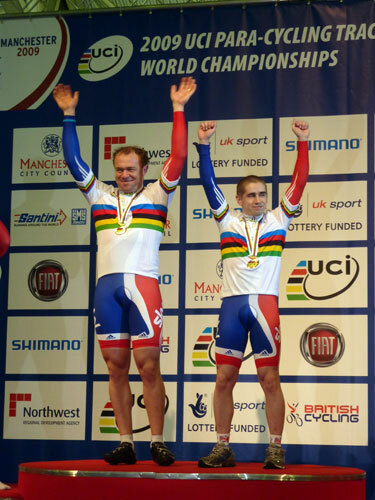 After setting a new world record in the 1km time trial on Friday, Fachie and Barney Storey set a world record in qualification for the men’s tandem sprint before going on to win the final. It was a third day of racing for Kenny, and a third gold medal – this time with Jody Cundy and Mark Bristow in the men’s team sprint. The trio clocked a time of 50.232 seconds to take the win. That marked Kenny’s 13th world cycling title, and the fourth of the year. Aileen McGlynn and pilot Ellen Hunter set a personal best in the tandem pursuit and came away with a bronze medal. Only America looked able to challenge Britain at the event, tallying 10 medals including five golds.